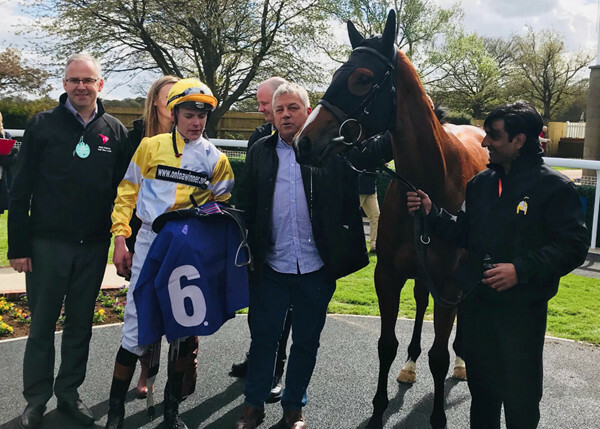 The Karl Burke trained Life Of Riley won on only his second outing yesterday when landing the British Stallion Ebf Novice Stakes over the minimum trip under a very good ride by Ben Curtis. He was drawn in stall 3 for the 7 runner event. In the early stages of the contest, Ben sat off the leaders in 3rd place. Approaching the 2 marker, Ben angled Life Of Riley out and began to make his challenge. At the furlong marker, Ben galvanised Life Of Riley and he went on to win by just over a length beating some nice types on the day. He brought up our 1st 2 year old winner of the year. He was still a bit green but he won with his ears pricked, there looks to be plenty more to come from this son of Showcasing. A big well done to his owners and a big well done to Karl and all of the team at Spigot Lodge on their 1st 2 year old winner of the season. 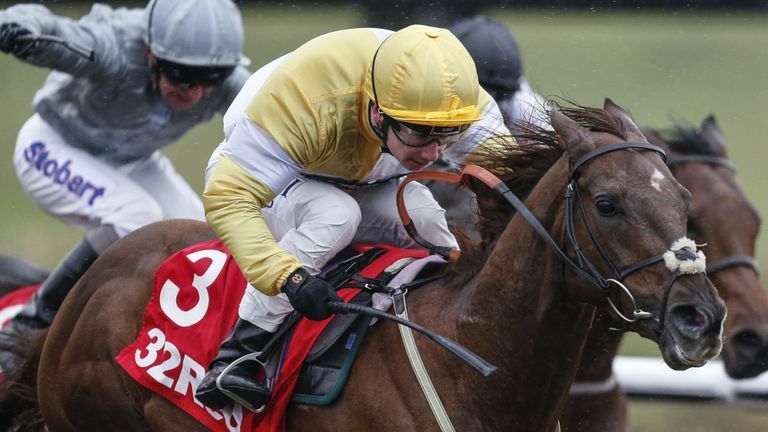 Corinthia Knight extended his winning run to 4 yesterday when landing his most valuable prize to date – the 3 Year Old All Weather Championship Stakes at Lingfield. He collected the tidy sum of £93000 for his efforts and confirmed that he is the best 3 year old sprinter on the all weather this year. He opened at a price of 9/4 in the morning but a flurry of money saw him sent off the 5/4 favourite for the 10 runner race. Drawn in stall 6, he was as professional as ever from the gates and Oisin took up a handy position tracking the leader. Entering the home straight, he took it up and he showed a superb attitude to go on to score by just under a length. Speaking after another excellent ride, Oisin said he knew he was on the best horse and it was a matter of keeping it simple and that’s just what he did. Huge credit must go to Archie and his team at Saxon Gate, they do such a fantastic job and the results speak for themselves. Archie is having a remarkable 2018 and is one of the brightest young stars in the training game. 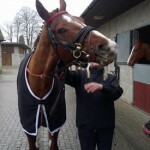 It is such a privilege to be involved with a horse of his calibre and he has so many options now for the season ahead. A huge well done to his owners who are now spending the bank holiday weekend on cloud 9. Winner # 13 for 2018. Made Of Honour delivered our 11th winner of the year yesterday under the lights at Wolverhampton. 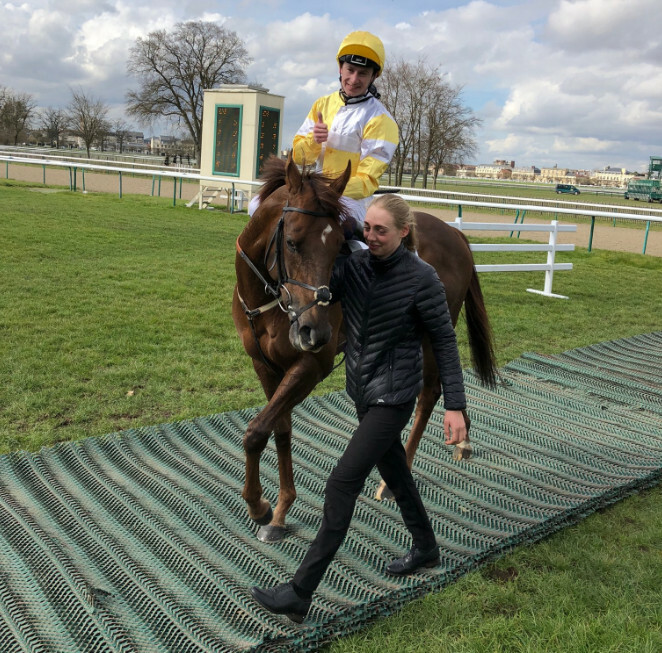 The daughter of Casamento was seeking her second win of the year under Ben and her 3rd win in a row since landing a valuable contest at Chantilly in October. This race was a step up in class for the Karl Burke trained 4 year old. She was her usual quirky self at the gates when once again the stalls handlers did a tremendous job in loading her into stall 3. As they set off Ben was happy to keep her off the pace in the early part of the race. Sitting about 4 lengths off the leader entering the home turn, Ben angled our filly out deeper on the track and set about reeling the leader in. Under a determined drive, Ben got her up close to the line to land the valuable class 3 contest, a fantastic ride from a jockey that gets on well with her! Great credit must also go to Karl and all the team at Spigot Lodge on this sweet success as she notched up her 3rd win in a row. 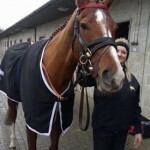 A huge well done to her owners, she may be quirky but she is also very talented. 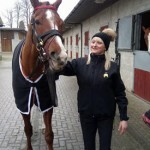 She rounded off a fantastic week for Ontoawinner after Corinthia Knight landed a listed contest in France on Thursday. 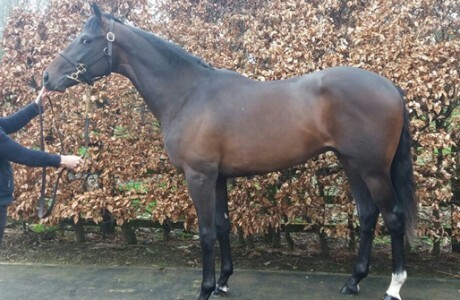 Corinthia Knight is the 5th black type horse we have produced. He deservedly joins Toocoolforschool, Katies Diamond, Quiet Reflection & Raydiance in the black type roll of honour. 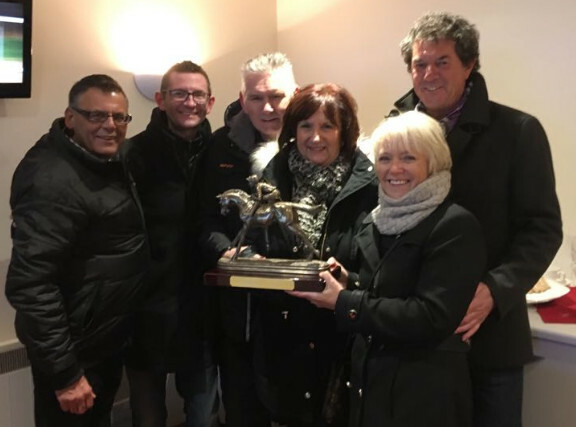 In 2018, we have had 11 individual horses run, 9 have been in the prize money & 7 have won a race, a remarkable start to the year for the Yellow & Whites. 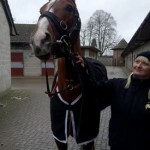 The Archie Watson trained Corinthia Knight headed to Chantilly today to compete in the Montenica Listed Stakes over 6.5 furlongs. He was aiming to follow up on 2 wins from 2 runs on U.K. soil this year. The talented Oisin Murphy travelled for the ride. He bounced from the gates in his usual professional manner and Oisin settled him in 3rd on the rail until the home straight. As the pace quickened, the French jockeys looked to be doing their best to deny Corinthia room. Oisin found daylight by switching to the outside and he showed a fantastic turn of foot to gather the leader in and win the valuable contest under a fantastic ride. 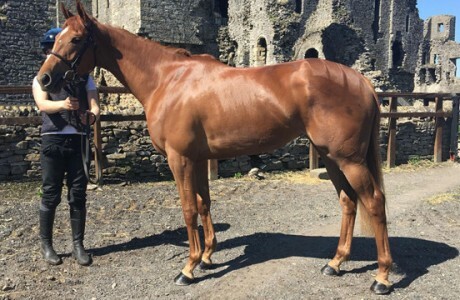 Currently rated 105, he is a very talented horse with a tremendous appetite for the game. He has won 3 races at different distances & tracks this year, with various tactics used. He is a versatile speed machine and there are plenty of options for him going forward. A huge well done to Archie who is absolutely flying this year. A huge well done also to his owners who will be looking very much forward to his next destination; the all-weather finals on Good Friday. Winner # 10 for the year. Castle Hill Cassie notched up the 3rd win of her career last night at Newcastle under a superb ride from Graham Lee. 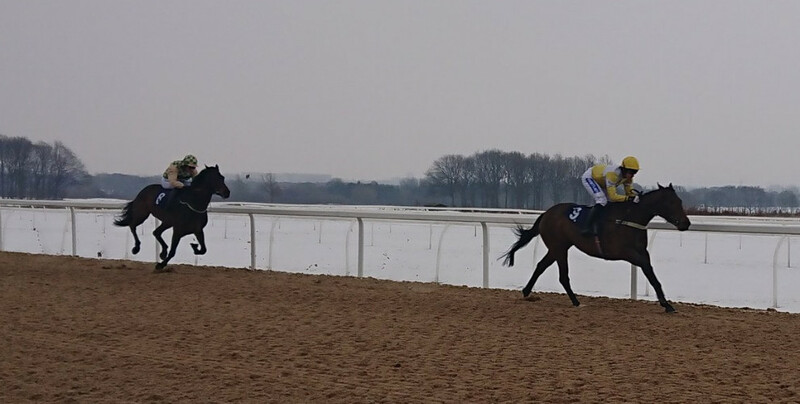 She was due to run at the same course recently but The Beast from the East had put an end to her hopes of running on that occasion. She jumped well from the gates and Graham got her nicely settled after around a furlong as the field travelled down the straight. Travelling in Indian File down the course, the placings remained unaltered until the final furlong when the pacesetter started to come back to the field. As Graham was looking for daylight, the favourite kicked for home and stole a couple of lengths advantage. Once the gap came, she showed an excellent turn of foot to collar the leader close home and win the race. Graham reported he didn’t want to hit the front too early and was keen to hold onto her for as long as he could. He carried out his plan to perfection and clearly knows how to get the best out of her. This was her 3rd win from nine runs and she is clearly on the up. Ben was over the moon with her run. 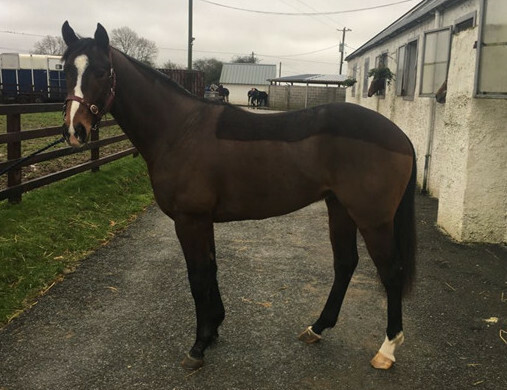 She is an improving mare who settled much better and looks to be getting stronger. A big well done to her owners and a big well done to Ben who landed a double on the night. Our 9th winner of the year! 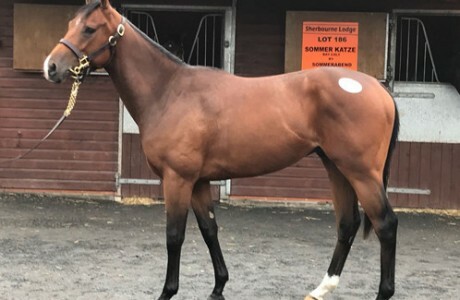 We are delighted to announce the Compton Place x Finalize colt that is trained by Adrian Keatley will be called Compton’s Finale, named by Nick Bland. We had loads of fantastic entries including Distinct Shot, Earl of Wilmington & Pursuing The Dream and many more. We also liked Beastfromtheeast but the name was taken. Thanks to all that entered and we look forward to seeing him on the track. Bournville lined up in the open NH flat race over 2 miles today at Newcastle. 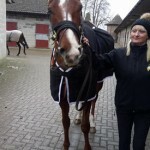 Henry Brooke was aboard once again as she looked to follow up on her excellent debut win at the same course last month. She was slow away and Henry had to be sharp to ensure she got going, she eventually did and she made up the lost ground quickly. The pace was slow throughout and Henry was happy to keep her at the back of the field for the majority of the race. On the turn into the home straight, she began to easily move through the field and it was just a matter of when Henry wanted to take it up. Henry pressed Go and she showed a fantastic turn of foot and went on to win by 4 lengths with a further 12 lengths back to 3rd place. She is clearly talented and has her own ideas. She now has plenty of options available to her over the coming months. Her owners have a lot to look forward to. Our 8th winner of the year! Made Of Honour ran in the 32red.com fillies handicap over 1 mile yesterday at Lingfield with Ben Curtis taking the mount aboard the Karl Burke trained daughter of Casamento. Made of Honour had refused to go in the stalls on her last run. On arriving at the start, the handlers positioned her very close to the gate and after a few anxious moments, they persuaded her to go in; a fantastic job by the handlers. She opened up at a price of 9/2 on the eve of the race but was well supported in the betting markets seeing her sent off at 5/2 fav on the day. She was drawn in stall 6 for the 8 runner event. After breaking smartly, Ben was happy to settle her in mid division for the 1st half of the contest. 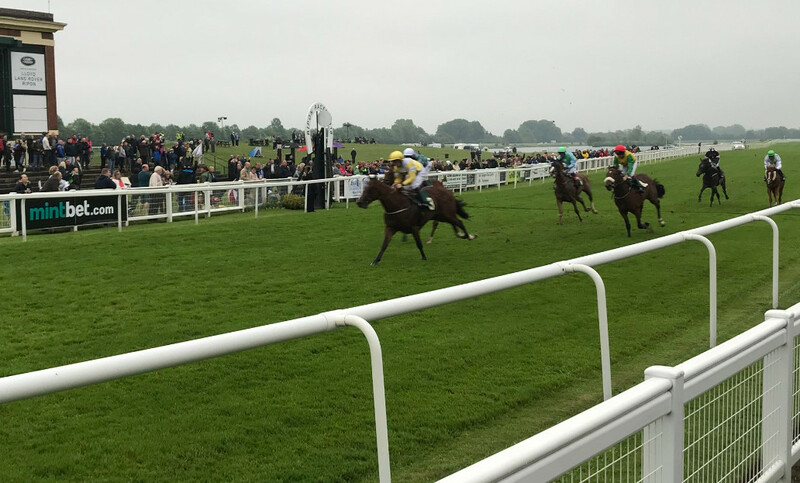 Approaching the 3 furlong marker, Stevie Donohoe, who rode the 2nd favourite – Wicker made a good move to steal a few lengths heading into the home bend. Entering the straight, Ben set about reeling the leader in. In full drive position, Ben galvanised Made of Honour and ate up the lead to collar Wicker close home. It was a fantastic performance from both horse and jockey on the day and a fantastic success for her owners. 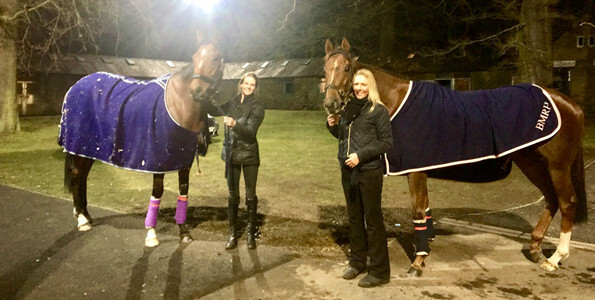 A big well done to Nikki Hazell, Mark Ashley Simms & Lucy Burke who traveled with Made Of Honour, they had her looking fantastic on the day and was deservedly awarded best turned out for their efforts. Made of Honour brought up our 6th winner of the year in as many weeks. 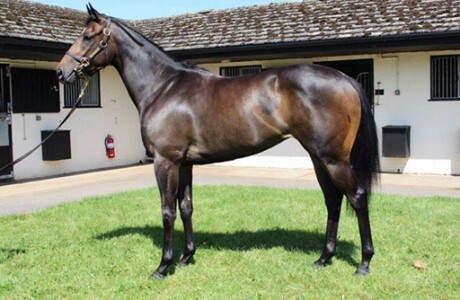 She was our 2nd winner by Casamento this week after Bournville’s impressive debut at Newcastle on Monday. It has been our best start to any year for Ontoawinner and something we could only dream of. Long may it continue!